What has happened over the past 19 days is a tragedy of massive proportion and something that should not be taken lightly. What is the right reaction? What reaction would be too much and what wouldn’t be enough? How do we mourn such an atrocity? These are all incredibly important questions and ones that need to be waded through extremely carefully. However, in the sea of what has become click bait journalism those massively and most important questions are getting lost in the ocean of partisanship. What is not important in this situation is whether or not CNN uses the word murdered or kidnapped in their first draft of a breaking news story. What is not important is the exact words that Obama uses when he expresses his sorrow over this situation. There are rockets flying into Israel every day, don’t allow the focus to be shifted off of that. Don’t fall for the new kind of “Upworthy” journalism, which I like to call “activist-baiting” journalism. A news article that highlights an incorrect word that a different news agency used, or tries to highlight something that really isn’t important is just going for your clicks. They could care less about the actual issue, your click is the most important to them and don’t give that to them. You’re able to control what news is seen, don’t over-saturate what needs to be seen with these new ‘Activist-Bait’ pieces. They live off of the Facebook share, Twitter Re-Tweet, and comment. Don’t get roped into giving out your attention, it’s incredibly valuable. Keep the focus on what needs to be focused on and hopefully we can do what we can to improve the situation rather than allow what is already a tenuous situation to devolve further into partisan bickering that isn’t worthy of this tragedy. 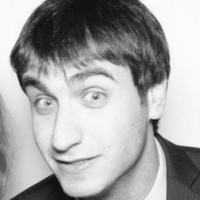 David Fisch is a graduate of Brandeis University and the creator of the popular "All I do is Jew" Website.